News sites come and go but there are several that become extremely popular. WordPress is great platform for blogs and news sites and thanks to these themes you can create the next big thing. These themes can be used for any news niche such as tech, gossip, politics, sports, games and much more. WordPress themes for news 2015 are just for you to publish your news on the internet. There are many news style themes out there, but I have research and have mention the noteworthy ones which should help you keep visitors on site longer and just make the right first impression. In this article, I’m going to share top 25 WordPress premium themes for online newspapers, editorial and magazines. These new style WordPress themes are built with clean code and packed with superior theme features suitable for your news or online magazine. It will automatically adjust to desktop to tablet and tablet to cellphone. Are you looking for some awesome, creative magazine and news WordPress themes then I hope you like these themes to create a beautiful online presence with. Let us know in the comments which ones you like best. Sting is a modern and clean WordPress theme for magazine, news, editorial and blog websites. The the superb flexibility of its layout makes it very easy to customize. The theme is packed with tons of features and unique widgets. It comes with two different homepages, you can use any of those. Tempest is a WordPress Premium Magazine Theme, crafted with care and attention to detail. It includes a minimalist design, coupled with clean and retina graphics. It is really simple to use and manage, includes excellent features that let you build your own blog or magazine website or website in minutes! It has tons of options, unlimited color options, it is responsive and optimized to work fast and easy. Undo Premium WordPress Theme is a professional Magazine WordPress Theme with a remarkable clean layout design suitable for any type of site. Created with love using the latest HTML5 and CSS3 techniques with a validity code, completely responsive to look perfectly in all mobile devices, easily usable with any device as well as PCs. 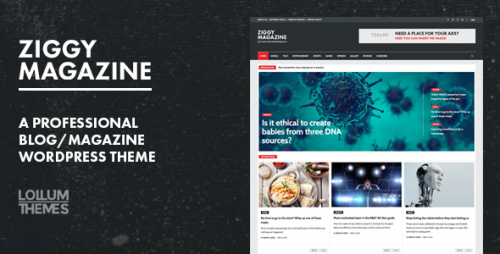 Realnews is a fresh, clean, stylish and modern magazine theme. Built with responsive design and based on visual composer. With the 4 post formats (standard, video, audio & galleries), realnews can be used for almost any niche. Realnews also built-in reviews system. A professional WordPress blog/magazine theme suitable for magazines, newspapers, review sites, or blogs. Ziggy is a professional WordPress blog/magazine theme built for blogs, newspapers, magazines or review sites. Developed with SEO best practices in mind (and microdata optimized), Ziggy lets you to write articles and blog posts easily and quickly. 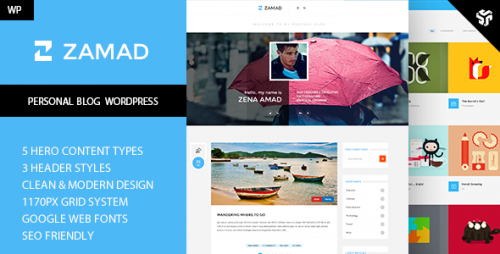 Zamad is a Premium Personal Blog Template with Portfolio, Single Project/Post, Shortcodes and many other features. The Design is made for Personal Blog owners who want to “wow” their visitors and make a great first impression. 3 Layouts ready for Blog and Pages: sidebar left, sidebar right, full content. Blog format styles: standard, image, gallery, video, audio, quote, link. 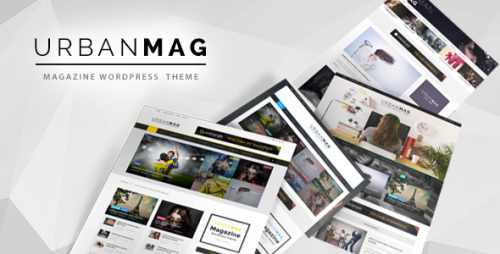 Urban Mag is the most efficient WordPress theme for your magazine , news editorial, personal blog, newspaper website. It has a lot of option that magazine website need. For example, layout builder for homepage, ability to change layout for each categories, breadcrumbs for post and category, social widget, post widget that has many options to sort and much more. This theme comes with 4 predefined styles. You can use GoodLayers importer plugin to import your prefered demo with only one click. 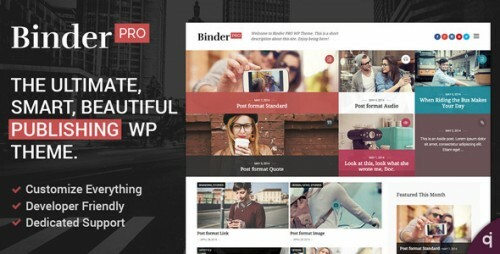 Binder PRO is a smart publishing WordPress theme designed to let you build beautiful magazines, blogs and even corporate sites that capture visitors. Make your job easier and accelerate your building process while creating awesome sites. 5 Custom QuadroIdeas Widgets (Video, Image, Google Maps, Recent Posts, Featured Post). Options BackUp integrated, Demo Content + 1 click install!, Social Icons with customizable styles, WordPress Post Formats support, 3 Powerful Blog layouts, Easy and intuitive Options Panel and more. Clean, Minimalist Design can be used for any blog, newspaper, editorial and magazine website. Responsive Design which adapts to mobile devices (iPhone, iPad). Deactivate responsive features with one click in your backend. Retina Ready, Ultra-sharp High Resolution Graphics. Contact us page with validation and fullscreen Google Map support. unPress is a responsive, minimalist, flexible and modern WordPress theme suitable for magazines, newspapers or blogs. It was created to showcase your content in a clean, minimal, and fashionable space. With UnPress you can choose from unlimited colors, unlimited pages templates and many other options. Multinews is News/Magazine wordpress theme with very beautiful design, You can use Multinews for Magazine, newspaper and blog, Multinews has many unique features such as Flipping magazine, Beautiful mega menus, a lot of Layouts options, Ajax Live search, Author Timeline. Fontana is ultra responsive, retina ready, and built on Twitter Bootstrap framework. It features a clean, modern and interesting design, packed with the super powerful TouchSize Layout Builder which offers unlimited possibilities and options. Revival is responsive magazine/blog theme with clean and modern look. This theme will fit your large desktop screen, all way down to your smartphone – and of course any Tablet or iPad in between. Theme is optimized for your touchable and mobile device. OrganizedPress is a Premium WordPress Theme for Blog, News and Magazine Websites. It has a clean design and it comes loaded with lots of features to help you take your website to the next level. Easy & Extensive Theme Options – OrganizedPress theme has very easy and comprehensive set of theme options that will help you configure and modify the things around your site more easily. Blogfest is a WordPress responsive theme built in special for blog and online magazines, but it can fit a more wide business profiles. A flexible theme options panel provide to you the power over all settings needed to customize the theme without to open a code editor, being suitable for a large website content but also and for small online brochure websites and portfolios or regular blog websites. 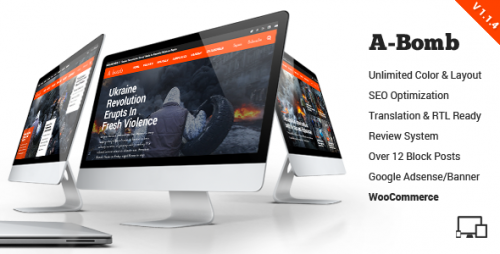 World Wide is a premium magazine wordpress theme. With this theme, we include 7 blog styles + 5 styles of sidebar layout. Now you can have many possibilities for your site. Also, You can change many setting such as element’s color, Backgroumd pattern, font family etc easily via our awesome admin panel. GrandNews is new responsive theme for magazines with modular and flexible homepage and build-in rating system. GrandNews is built for heavy-content websites, but it is suitable for all bloggers! This theme comes with many cool features as slider and carousel widgets, modular featured sections and flexible layout and possibility to manage color schemes, responsibility settings. BlogMag is a Premium WordPress Blog and Magazine Theme. It has a very nice and clean design and it comes loaded with with lots of features to take your blog to next level. AJAX Based Live Search – BlogMag theme provides AJAX based live search, to help website visitors reach their desired contents more efficiently.